​TOMMY IVAN COLIN MANY FINGERS – Niisitapiotasin (40 Horses), beloved love of Shawna Goodstriker, was peacefully called home by the creator to be with his loving grandparents Gordan (Aa koo ta sii) and Loretta (Issitsinaan ) Many Fingers as well as Mike and Angeline Eagle Bear on August 3, 2018 at the Lethbridge Chinook Hospital. Tommy was born January 5, 1973 at the Cardston Hospital to Colin Many Fingers and Edna Many Fingers – Eagle Bear. Tommy is the eldest brother of one sister Susan (Duane) Many Fingers and uncle to his three loving nieces and nephews Nicole, Dane and Otto. Tommy was survived by his uncles and aunties : Alvin (Mel), Cal (Teri), Marvin (Trina), Audrey, Connie. Gilbert (Velma), Audrey Eagle Bear, Marsha (Merlin) Provost, Clara Healy, Evelyn (Frances) Scout, Anita (Randy) Eagle Bear and Connie Tailfeathers. On May 24, 1997 Tommy married DeeDee TailFeathers. Together they had and raised two beautiful children McCarthy Ky Many Fingers and Dylan Johnel Many Fingers. In 2014, Tommy met his love Shawna Goodstriker and was blessed to inherit three more children Jayden, Dayton, Petra and one grandson Ricky. Tommy is leaving behind a legacy of love, kindness, humbleness, strength and determination in life and thus “Never to Give Up”. Everyone who knew Tommy will never forget that million dollar smile and most unforgettable laugh. Tommy received his education both on and off the reserve. He graduated with his High School Diploma from Cardston High School in 1991. He received his Class 1 truck driver in July 1999, he then attended Kenen Heavy Equipment Training in Grader and Backhoe. In May 2000 he and Dee Dee purchased a water truck and started a water hauling business called MAC Water Hauling after their son. He provided water service to many big oil companies and this business brought him all over Alberta. Tommy worked long hard hours to provide for his family and on his days off he would be busy with his kids. Hockey was his passion and as soon as his son could walk he put him in skates, he coached McCarthy for many years in Cardston and also the annual Treaty and Provincial games bringing home many championships. He traveled all over the U.S., Alberta and eastern Provinces for Mac’s hockey. Tommy was very proud of his children and their accomplishments, he was especially proud of Dylan being crowned Saipoyi Princess and all of her academic awards. His children are going to miss their Dad and all of the good times spent with him but will always have the memories. Tommy’s passion for hockey began when he was 5yrs old, he started his career in Standoff where he met the majority of his hockey brothers. During Tommy’s bantam years he was a very valuable player and was a top notch scorer. At the age of 15 Tommy made the Golden Chiefs team where again he became a valuable asset as he always remained in the top 5 of the scoring race. During this time his hockey parents Marvin and Trina travelled with him in the International Jr B Hockey league in a chartered bus with the Junior B Kainai Golden Chiefs. One of Tommy’s greatest games was when he played the Touring Russian hockey club, another memorable accomplishment was when he was invited to the Lethbridge Hurricanes Jr club for try outs. Tommy ended his hockey career with the Kainai Chiefs. Tommy’s Maternal clan was Pook sta kii and his Paternal clan was Mamioyiiksi. Tommy was raised very Catholic throughout his entire life but towards the end he followed the traditional Kainai/Blackfoot ways of life. The family would like to extend their sincerest appreciation to all the health professionals in Lethbridge and at the Peter Lauheed Hospital who took care of Tommy during his illness. The family would also like to thank Public Works for their kind and generous donation as well as Husky Russell Trucking and everyone for prayers, condolences, donations and tributes as we send Niisitapiotasin to the Spirit World. We especially want to thank all the folks not mentioned for their kind acts of support and generosity, there are so many to numerous to mention. Tommy was predeceased by his paternal grandparents Mr & Mrs Gordon Manyfingers, great grandparents Mr & Mrs Albert Manyfingers, Mr & Mrs Christopher Buster Mills, aunts and uncles, Mr & Mrs Gerald Shade, Virginia Mills, Rose Marie Mills, Maryrose Manyfingers, Mr & Mrs Norman Little Child, Liza Mills, Chirstopher Mills Jr. Richard Mills, Franco Mills and Delbert Mills, Lloyd Gary Manyfingers, Lindsey Manyfingers, dear cousin Jessica Manyfingers. Maternal grandparents Mike & Angeline Eagle Bear, great grandparents, Jack and Agnes Eagle Bear, uncles, Alphonse, Michael Jr, Vern Eagle Bear and Fritz Chief Moon. A Wake Service will be held at the Gladstone Community Hall on the Blood Reserve on Thursday, August 9th, 2018 from 7:00 – 11:00 p.m. 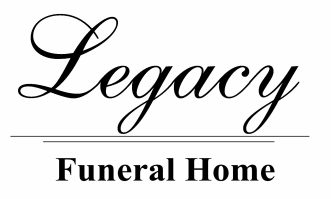 The Funeral Mass will be held at the St. Basil’s Catholic Church 604 -13 Street North, Lethbridge on Friday, August 10 at 11:00 a.m. Interment at the Pioneeer Cemetery, Blood Reserve, Alberta. Codolences may be sent by CLICKING HERE.